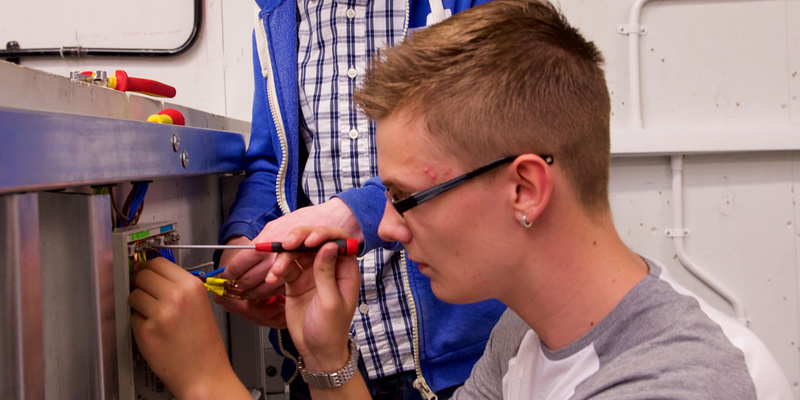 Get into Engineering at The Prince's Trust supports young people into vital engineering jobs. The organization Engineering UK recently ran an assessment of UK-based engineering sector employers. Over half of the survey participants reported that vacancies within their companies are hard to fill, and lead to major delays in their productivity, increasing their operating costs. The Engineering UK survey pointed to the engineering skills gap as a major issue for the UK, impacting the development of crucial products and services. At The Prince’s Trust, we have found that many young people have the confidence, attitude and motivation needed for a job, but may not have the necessary experience or specific skills needed to get on the job ladder. We are helping to bridge the skills gap by partnering with engineering sector employers to deliver Get into Engineering programmes. These intensive programmes offer skills training, work placements and employment opportunities for unemployed but work-ready young people. Our latest Get into Engineering programme took place in Edinburgh, in partnership with the Scottish Electrical Charitable Training Trust (SECTT), Scotland Electrical Trade Association (SELECT), and Edinburgh College. It offered young people a combination of workshop learning and electrical engineering work experience within selected organisations, such as Edinburgh Council. Young people on the course learned entry-level electrical engineering skills over the first few weeks, including how to build electrical switches and sockets, re-wiring, and repairing basic electrical malfunctions. They then each went to their electrical engineering work placements , which resulted with some of the young people being offered apprenticeships and interviews for positions with their placement organizations. My life had hit a low point, but I have been slowly building myself up working odd jobs in stores and that sort of thing. When I saw this course opportunity with The Prince's Trust, I thought about how ever since I was a young boy I wanted to be an electrician. So I thought: just go for it! I knew I’d always regret it if I didn’t get stuck in. So I did it, and it has truly been fantastic and opened up many opportunities for me. Get into Engineering funding partner, SELECT, supports training and development for engineering as a crucial endeavor to addressing the skills shortage, which they say is one of their major challenges. SELECT works to ensure 600 new apprenticeships are brought in every year, and are constantly searching for new opportunities to seek out and train emerging talent while helping to find new ways to support young people into the industry, which shows just how crucial gaining more trained staff is to the Engineering sector. Our work with SELECT and SECTT in Scotland is replicated with other engineering sector partners across the UK, as we continue to provide training and experience to work-ready young people, helping to close the skills gap and provide young people with positive and meaningful outcomes.